Mission: The Missouri Agricultural and Small Business Development Authority makes capital available to Missouri farmers, particularly independent producers; agribusiness; and small business at competitive interest rates on a scale to make a major impact. 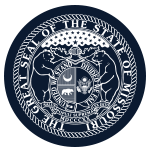 Function: The Missouri Agricultural and Small Business Development Authority reviews and approves loan applications for the authority's programs, and sets policy and direction related to operation of the authority. Member Requirements: No commissioner appointed by the governor shall serve more than two consecutive full terms.